Change is hard for some people. Particularly for the faithful customers of gaudy, goofy, El Conquistador, who apparently loved their neon-green margaritas, paper decoration-festooned ceilings and ho-hum Mexican fare. Those former customers might not warm to El Condor, the completely new restaurant in the same Sunset Junction spot. But they would be very shortsighted. 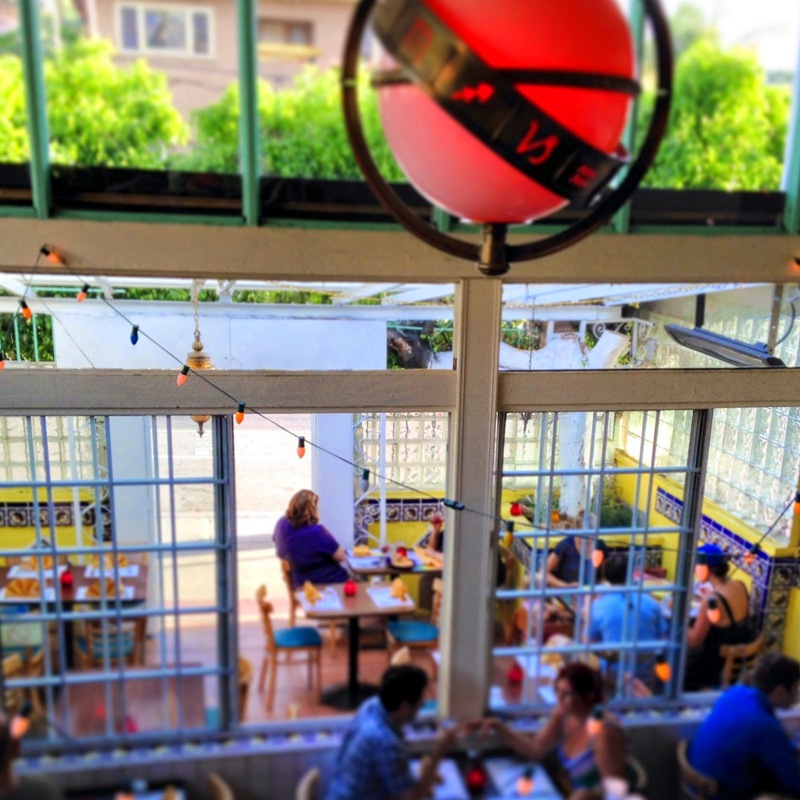 El Condor comes from the owners of Bar Covell and L&E Oyster Bar, who have done much to bring better food and drink to Silver Lake and Los Feliz. El Condor is just what a neighborhood Mexican restaurant should be: a place to get a killer margarita, some delicious chips and maybe something more, with a cool ambiance. The restaurant attracts a crowd as stylish as at the owners’ other spots, and it’s not unusual to see a well-known actor or two. But it’s still easy to drop in for a lazy Sunday happy hour drink (4 p.m.-6 p.m. nightly) or family dinner after the Tuesday farmer’s market. The whole restaurant has been opened up, stripped down and cleaned up, and the decor is now a groovy — but not kitschy — mix of colorful Mexican tiles, carved-wood window frames and a distinctive brass and frosted glass chandelier. The Mexican dishes have a California sensibility, and while they're a far cry from gloppy old-school beans and rice plates, the menu is fairly small and not terribly adventurous. Tortas, quesadillas, tacos and enchiladas are the centerpieces, but there’s also a few main dishes, like a carne asada or chicken plate ($18) and a pricier fish plate. Salads include a fine chopped combo of grilled corn, peppers, avocado, beans and queso fresco, and kale with pepitas ($12), because Silver Lake. Start with a bowl of crispy, just-fried chips and salsa. If you’ve already ordered the tart and potent house margarita, you may have a hard time ever leaving. Or try La Llorona, a super-refreshing and unexpected combination of mezcal, hibiscus, ginger beer and pineapple, or the spicy Amor y Chile cocktail that packs a dual mescal and tequila punch. Guacamole is also first-rate and if you add a gooey pot of Queso Flameado (baked Oaxacan cheese) with savory mushrooms or chorizo on top, you might be tempted to stop right there. The torta sandwiches ($13 to $14) are messy but fun, especially the Milanesa — just the thing to pair with a Michelada. Soft tacos ($12 to $13) are served three to a plate on homemade, organic tortillas with quality meats with tangy pickled vegetables. 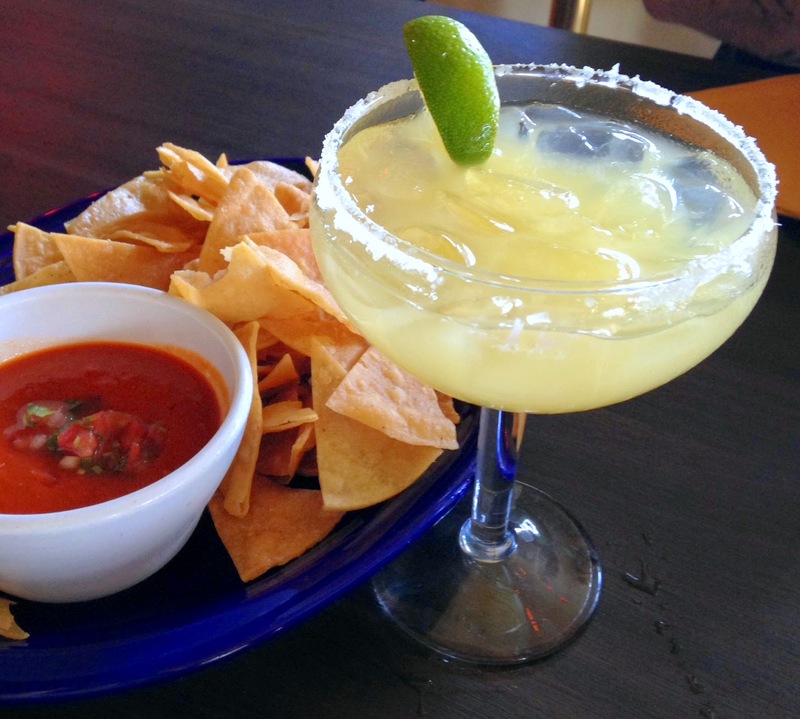 Flavors can be a bit restrained, but adding some of the housemade salsa should fix that. Prices may seem a bit high but are on par with other neighborhood Mexican restaurants that have full bars. The difference here is that not only is the food fresher and prepared with more care, the terrific cocktails blow away most of the others. Sure, it’s the new Silver Lake, but it’s one we can get behind. This review first appeared in the Los Feliz Ledger. Click through to see how many forks El Condor received. Yum! That margarita looks great. Will have to check it out. We used to happily frequent this location's previous iteration, Conquistador. I have lived in Mexico, cook very well and know fine cuisine. Went for the sixth time, last night, 5:45+/-, Happy Hour. I tend to be on the forgiving side and was hoping that they would come around...nope. I ordered the chicken/pollo plato and my wife ordered the Hongo (mushroom) quesadilla appetizer and we each had a House Margarita. My pollo/chicken was cold and leathery, the rice was cold, I sent them back with good cheer and a clear explanation - I'm in the service business and I appreciate good feedback. ...but the bill, the bill, I could not. $32.28...for two drinks and an appetizer! I left an $8 tip and will never return. There is nothing going on here to warrant their prices and so-so service, I'll drive to East L.A. any day or night (or walk!) and get the friggin best service, food and experience and good cohorts this side of Mexico. Run, don't walk, to El Huarachito, 3010 N. Broadway, Lincoln Hts for the real deal.